Known for her role as Sarah on My Babysitter's a Vampire and as Amanda Pierce on The Latest Buzz. 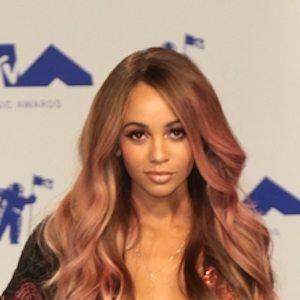 She also had a starring role as Hannah in the 2011 TV movie Geek Charming and in 2014, she began playing Bird on the MTV series Finding Carter. In 2017, she joined the cast of the CW's Riverdale. She was a Junior Miss America Winner at age seven in 1999 and appeared in 2010's Frankie & Alice. She played Vanessa in several episodes of Degrassi in 2013. She was raised by her East African father and her Scottish mother in Ottawa, Ontario, and has a sister named Celina Mziray. She began dating MLB player Michael Kopech in July 2018. She had had a recurring role alongside Stefanie Scott on the second season of A.N.T. Farm.